Neto is amongst a group of artists who emerged in the 1990s in Brazil. Influenced by Brazilian Neo-concretism his work is strongly attached to the body and the senses and although mainly abstract in form, the sculptures have organic qualities. 110.0 x 130.0 x 70.0 cm overall approx. 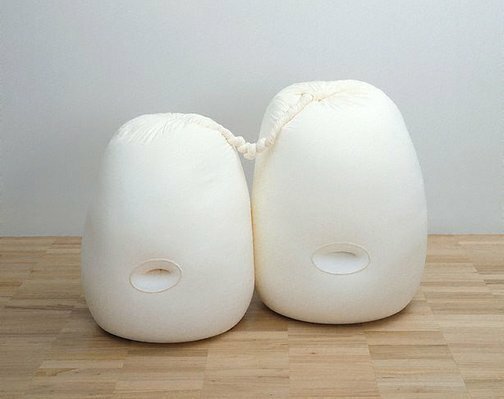 Soft sculpture , 'SOFT sculpture, modernity, minimalism and the body', pg.5-25, Canberra, 2009, 22, 23 (colour illus. ).